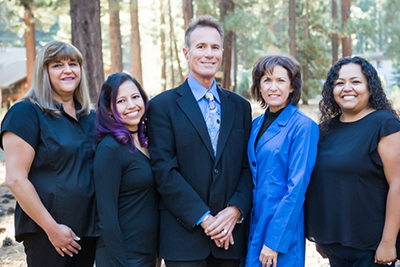 Periodontal Therapy – Tahoe Family Dentists - Providing excellence in dentistry in South Lake Tahoe. Gum disease treatment stops the progression of periodontal disease and restores health and vitality to your gums. It is estimated that gum disease affects almost 50 percent of all the people across the population at some point in their lives. 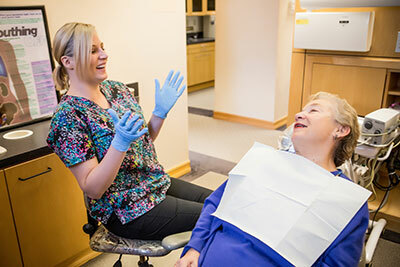 We provide routine periodontal care in our South Lake Tahoe dental office to help prevent gum disease from spreading and causing bone and tooth loss. Periodontal treatment is designed to stop the progression of gum disease and restore health to the gums. Gum disease is the top cause of tooth loss, more so than cavities. Our office offers revolutionary treatment procedures that will eliminate bad breath if judiciously followed. If you are diagnosed with any stage of gum disease, from early to advanced, periodontal treatment can help slow or halt the progression of gum disease and restore health to your gums. Periodontal treatment can take several forms. For some patients, a complete scaling and planing can help to sanitize the areas between the surface of your teeth and the adjacent gum tissue. Special instruments are used to clean away bacteria, plaque, and tartar located below the gum line, preventing infectious irritants from staying lodged in areas away from brush and floss. Antibiotic treatments can also be done to minimize infectious bacteria and keep your gums healthier in between periodontal appointments. For some, a periodontal therapy appointment may be scheduled prior to each regular cleaning for optimal gum health. For these patients, cleanings may be recommended more frequently. In extreme cases patients, may be referred for periodontal surgery to correct deep pockets around the gums and prevent tooth loss. 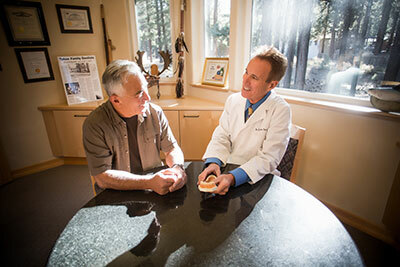 Periodontal surgery may also be needed before a dental implant is placed by your South Lake Tahoe dentist. Do You Need Periodontal Therapy?